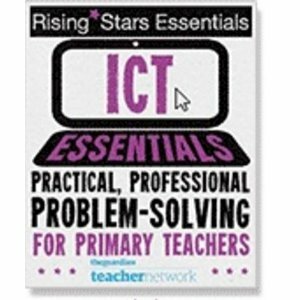 I spend all day training schools to use the internet, the VLE and other web-based tools. Often we get the negative comments regarding children’s computer access at home. Schools sometimes have no idea how many children do not have access, so we often suggest running a survey or hands-up in class. We also suggest that they open up their suite at lunch, break of after school. But then you need to think about supervision. Why not get a year 6 child to run it? This works well in junior schools or if your suite is in an area with high traffic, but not so good for an infant school! So what is being done about the lack of internet or computer use at home? Home Access. That’s what. This is a Government funded scheme aimed at children from low-income familes to help them get connected and get online. Familes with children in year 3 to year 9 that have registered for free school meals will be entitled to a free laptop or PC. If you want to be picky, there are flaws. I hear these everyday when I mention it to teachers. Why is it the people on benefits getting more handouts? What about the people who work, but are just above this cut-off point? For those that know me, I am a fairly positive person. So I take this scheme for the positive areas. Yes, it is this cohort that again get another benefit, but potentially, 270,000 families will be online because of this scheme. As a teacher, that is a huge bonus for what I would want to achieve in my classroom, whether it is blogging, VLEs, Voicethread etc. The power of the computer can not be underestimated. So how do parents go about applying? By going to the website (ironic, I know) or calling a number, they will get an application form. Filling this in is very straightforward. They then send it back and get a voucher for their free computer. Although currently seconded to the LA, I ran some parents evenings recently to showcase the benefits of having a computer at home and keeping safe. I mentioned sites that could help the children’s learning, such as iboard, tutpup, education city or primarygames but I tried to focus on supporting the parent as well. I gave examples of how I had used the internet since moving house recently. I had used sites such as Confused or Money Saving Expert to save £100s on gas, electricity or even foreign currency for my half-term holiday. We also looked at sites such as Jobsite, Monster and Learn Direct. One parent was particularly keen to see Picasa and how photo sharing could help her send photos of her grandson to family in Scotland. ( I would’ve shown Facebook, but due to LA-blocking, I was limited to screenshots). We briefly covered e-safety as I didn’t want the meeting to be too negative, but we did discuss keeping safe on Facebook, phishing and antivirus software. Parents seemed positive, even if the turnout was disappointingly low! If you want to use the resources, feel free. They are below. If you want to adapt them, go ahead. the main thing is that the children and families we work with are given every possible opportunity to succeed and that maybe, you need to spend an hour of your time helping those parents complete a form or become more aware of internet safety.It is always hard to share a presentation, but hopefully someone will find it a useful starting point. I’d be very keen to hear how your sessions go! Application form = not straight forward. But I'm positive too, this government are allowing UK tech co's to struggle horribly so if 10 of the 270k kids go on to make the first UK company sold to Google for a large sum that then goes back into our economy then I'm happy enough.